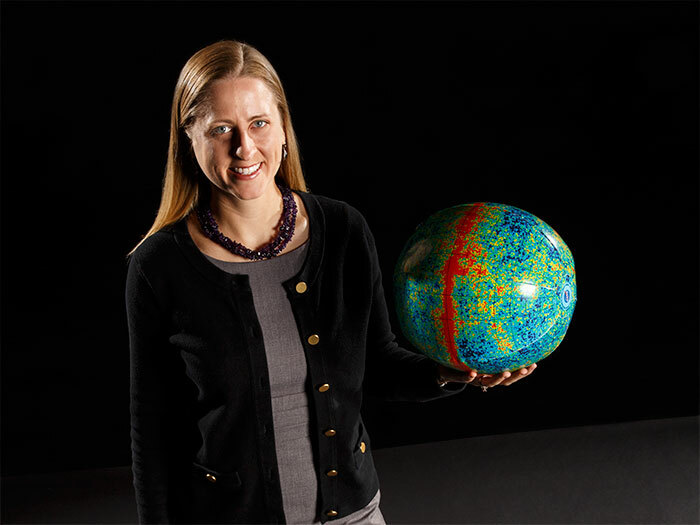 Dr. Emily Rice focuses her research on the properties of the lowest mass stars, gas giant planets around nearby stars, and brown dwarfs, which are intermediate between stars and planets. Dr. Rice, Assistant Professor of Engineering and Physics at the College of Staten Island, recently joined several of the country’s prominent astronomers at the 223rd American Astronomical Society (AAS) meeting in Washington D.C. earlier this year. Her presentation, titled “Photometric and Spectral Analysis of Blue and Red L Dwarfs,” consisted of a poster presentation displaying research performed by Macaulay Honors College students, Munazza Alam and Sara Camnasio, who assembled and analyzed a very large set of data on a type of brown dwarfs called L dwarfs. According to Dr. Rice, “this is the largest, most diverse observational dataset of red and blue L dwarfs assembled to date.” The data will go a long way in helping researchers of these substellar objects figure out their properties. While a large part of the AAS meeting’s allure lies in the ability for attendees to listen to some of the most prestigious astronomers discuss their various research, another, just as important facet of the meeting is that it works as a proving ground for up-and-coming researchers to share their dissertations to other experts in their fields. Dr. Rice shared the spotlight with Stephanie Fiorenza who presented her dissertation, “The Starburst-AGN Connection in Luminous and Ultra-luminous Infrared Galaxies” which focused on the evolutionary connection between nuclear starbursts and Active Galactic Nuclei (AGN) in luminous infrared galaxies and ultra-luminous infrared galaxies. Dr. Rice hopes that the reception to her research as well as the success of Ms. Fiorenza’s presentation alongside the increased interest of CSI students to study Astrophysics will expedite CSI’s Astrophysics program’s growth.